Start prepping for the New Year with premium, and make your business more streamlined than ever. 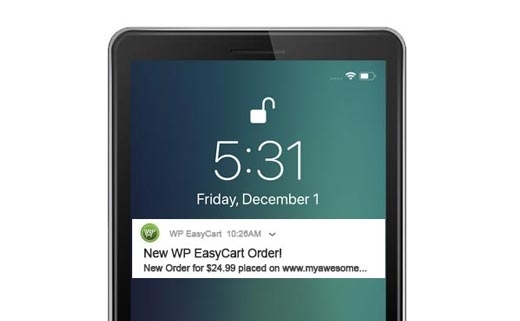 Get Push Notifications with Orders! With the Premium Edition, you can use our iPhone and Android apps to receive notifications this holiday season on new orders! Streamline your business with the extra services we provide in our Premium Edition. Take our already powerful eCommerce system and extend it with the premium extensions. ShipStation has been extremely popular this holiday season to make shipping, buying postage, label making for all your eCommerce sales. Stamps.com is another great extension with label and postage capabilities. MailChimp lets you insert all your orders and customers automatically into their newsletter system so you can send powerful emails. Our biggest hit this holiday season is our iPhone and Android apps with their push notifications on new orders. Even get alerts on your apple watch or android wearable devices.